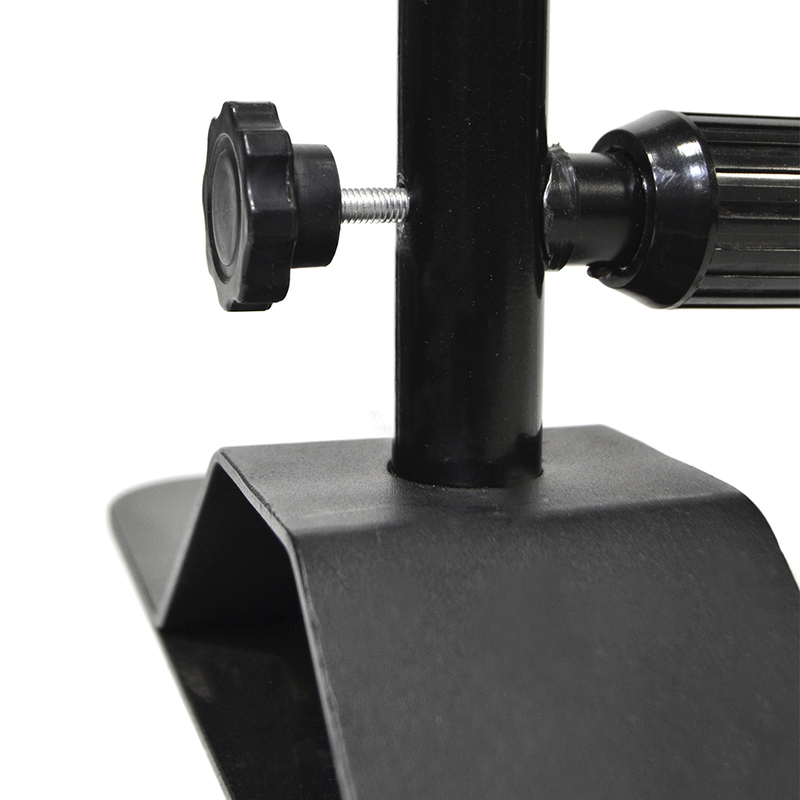 The Savage Promo Stand is the best background support system for photo booths, trade shows and other special events. 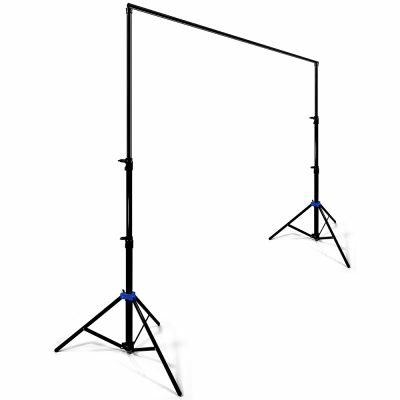 Two slim but stable feet allow the backdrop stand to be set up virtually anywhere, unlike others with large extending footprints. This is an important feature when setting up in small exhibit booths or narrow hallways. 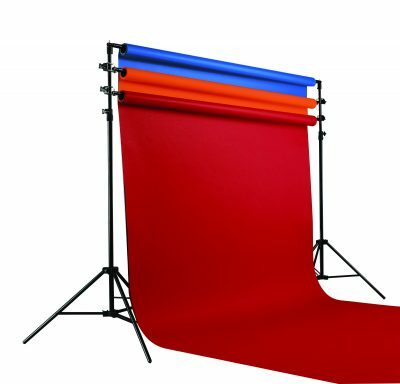 A horizontal crossbar attached at the top and bottom of the stand can be used to clamp a banner or photography backdrop to, keeping it taut, wrinkle-free and photo-ready. 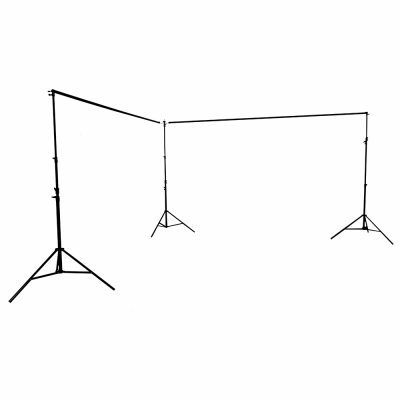 The functionally designed stands extend from 3’ 3” tall to 8’ 5” tall and the adjustable telescoping crossbars extend from 5’ 8” wide to 10’ 5” wide. 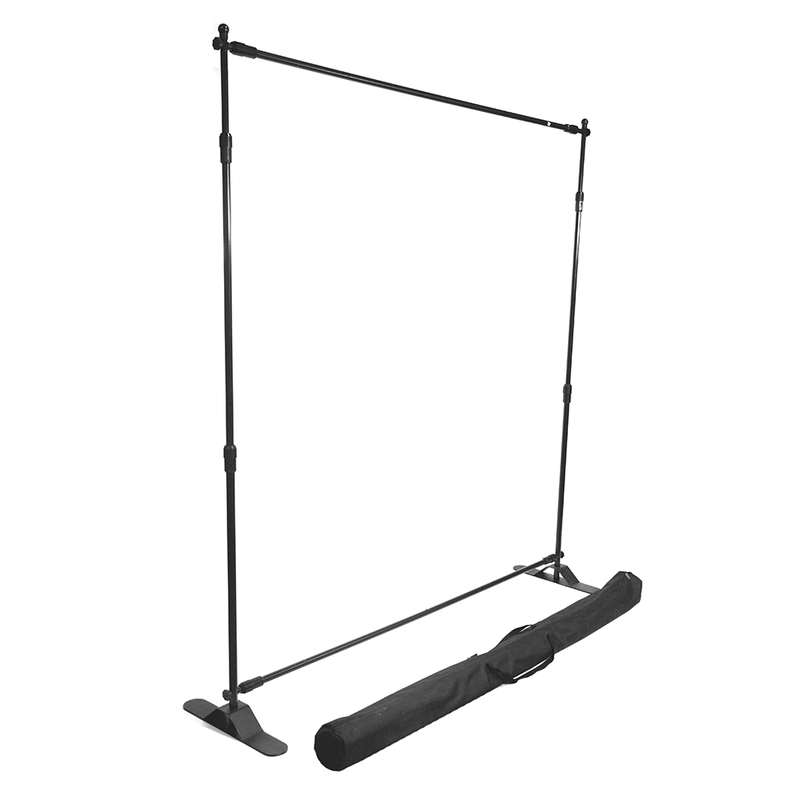 When the event is over, the whole backdrop system packs into a convenient carry bag for easy portability. Includes Allen wrench for assembly. Max weight limit: 15 lbs. 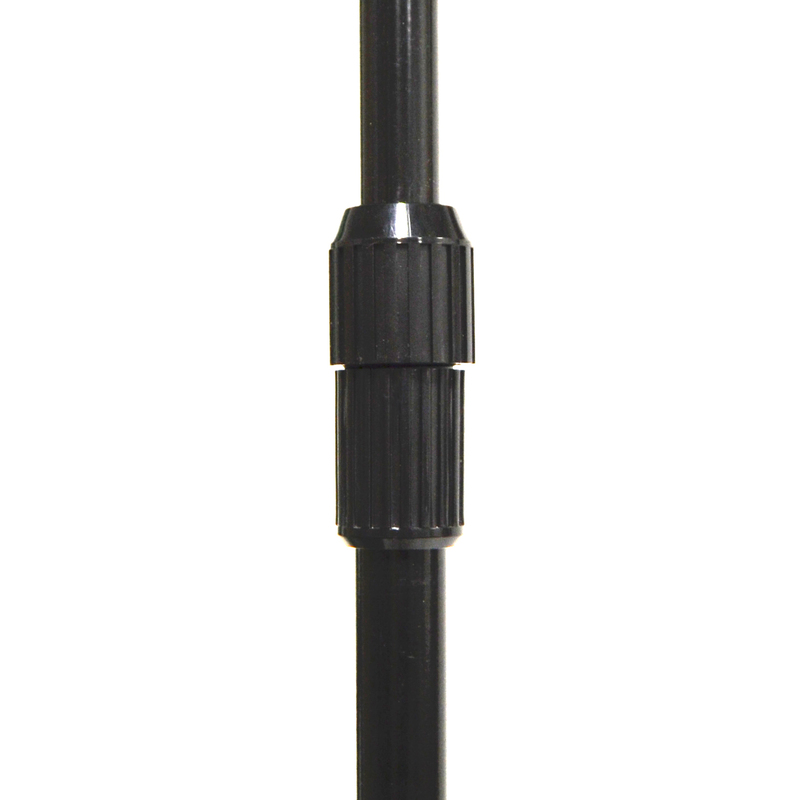 Slim footprint measures 3" x 17"